The NZX plans to restructure SuperLife to offer an unlisted product range that mirrors the group’s Smartshares exchange-traded fund (ETF) suite. Hugh Stevens, Smartshares chief, said the move would enable the $3 billion plus NZX-owned funds business to distribute the unlisted funds through multiple channels. “It’s similar to how Vanguard offers both ETFs and unlisted funds,” Stevens said. The change, due to take effect on April 1 this year, will release the underlying SuperLife funds – which mostly invest into the Smartshares ETFs – as stand-alone unlisted products rather than bundled under a superannuation structure. It is understood the revamp would also see the NZX rationalise its fund administration and custody arrangements under one roof, with BNP Paribas winning the contract. Currently, several providers including BNP and Public trust share fund administration duties across the disparate NZX products. Stevens said Smartshares would shortly appoint a chief investment officer – a newly-created role for the business. The news comes as the just-released NZX annual report details a bumper year for the group’s fund business while also heralding a raft of changes including: the launch of new ‘smart beta’ funds; a likely deal that could see the NZX Wealth Technologies platform pick up the $13 billion Craigs Investment Partners admin contract; and, an impending sale of a much written-down FundSource asset. According to the NZX report, the group’s fund business grew revenue to almost $14.5 million over 2018, up 7.6 per cent on the previous year, for a profit of about $5.7 million (an increase of 29 per cent over the annual period). NZX is targeting annual funds under management (FUM) growth of 14 per cent over the next five years, the results investor presentation says. The growth is expected to come “through positive net cash flows, market returns and target consolidation options (including stand-alone schemes and sub-scale master trusts), resulting in a doubling of average FUM to $5.75 billion by 2023”. Smartshares (which includes SuperLife) also plans to develop a “systematic investment management” approach over the next few years – suggesting a move from offering pure index-trackers to factor-based ‘smart beta’ products. The NZX fund brands will be re-launched later this year, the investor presentation says. As well as targeting growth via new channels – including institutional clients, third-party advisers and the new breed of direct-to-investor platforms such as InvestNow and Sharesies – Smartshares could also expand by acquisition. The NZX would “explore inorganic opportunities to accelerate growth” for Smartshares, the presentation says. And after finally transitioning about $900 million of Craigs fund money to its new investment platform last year, the NZX says “phase two” of the deal would begin shortly. “Negotiation for second phase of the new large customer [Craigs] is underway, analysis and design expected to commence April 2019, go-live estimated mid-2020 (subject to customer timeframes),” the NZX says. A NZX spokesperson said as yet “there is no signed commitment” to shift more assets onto the NZX investment platform. “The results of the discovery will determine if a further transition project will be undertaken,” the spokesperson said. If completed, the Craigs investment admin business (currently running on a Chelmer system) would add about $13 billion to the Wealth Technologies service, which currently holds just $2 billion. The NZX has set the ambitious funds under administration target for Wealth Technologies of $30 billion by 2023. But if the NZX is sticking by the investment platform business despite long, and expensive, delays in getting to market, the accounts reveal little patience for keeping the research house, FundSource. During the year the NZX knocked $352,000 off the FundSource book value, which now sits at $435,000, according to the accounts. 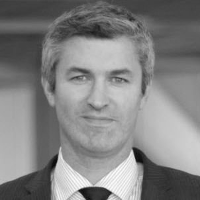 The NZX paid over $900,000 for FundSource when buying it from NZ Funds Management director, David van Schaardenburg, in 2006. It is understood the FundSource sale was almost complete with an Australian buyer rumoured to be in the frame. “NZX will provide a further update to the market in due course on the sale of this business,” the spokesperson said.